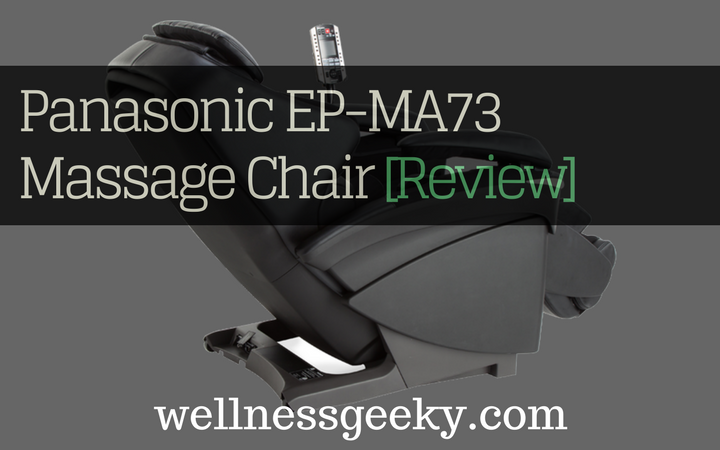 If you're shopping for a top of the line luxury massage chair, you must include the Panasonic EP-MA73 on your list. It incorporates outstanding, cutting-edge technology and massage techniques, it looks great, and it does a great job of simulating the benefits of a human massage. I find that even the best home massaging chairs never really make you feel like you're lying on a massage table, getting a massage from a professional, but when it comes to the outcome, this one is definitely among the highest ranked. Reviews are consistently in the upper eighties percentile-wise, and when you're dealing with this price point, you're going to get a lounger that has to deliver on quality as well as durability and the ability to provide some seriously effective relaxation and pain relief. 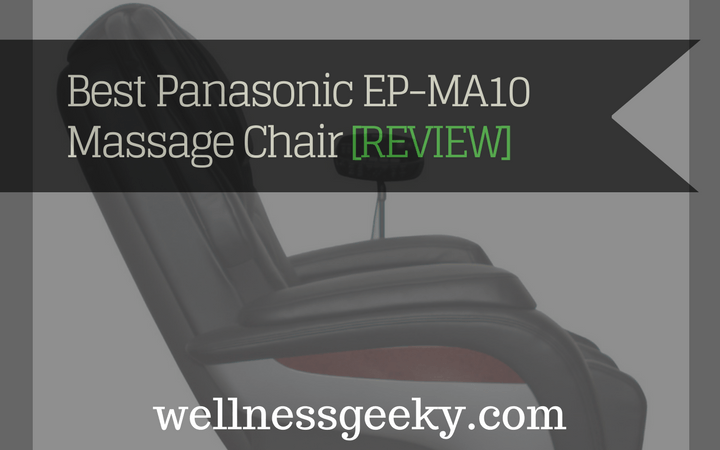 You can't go wrong with a Panasonic massage chair brand, pretty much flat out, but if you like the cream of the crop, this is the one that rises to the top, no doubt. In this review, we'll highlight the best features and benefits of each and take a look at a couple similar models and brands to see how they stack up. First of all, this chair is called the Real Pro Ultra Prestige, so right there, I'm kind of sold. Just kidding. But in all seriousness, with a name like that, you better have the features to back it up. Without going through the laundry list, I'll call out a few of my favorites and the ones that set it apart. All massage chairs use some roller. The quality is of course all over the place in this area of engineering, which is why you will often get pinched or bound up in a low-quality product. When you get into the higher end models, you start to see things like tracking, computer scanning, and dimensions come into the picture. A 3D roller system is better than 2D, for example, because it enables the massage roller to penetrate into your muscles and soft tissue as opposed to just gliding down your back. This is better for getting those tight knots and very tight muscles. So, the EP-MA73 goes a step further. They use thermal rollers that move multi-directionally. This translates to a very effective and super soothing massage. This is where I say the outcome is what matters. Do you feel like you're lying on a massage table in a dimly lit room with harp music playing? No. Do you think the same sense of a fantastic calm mind and completely relaxed and restored total body when you're done? Yes. And that is what puts the "q" in the "quality" massage here. The rollers create heat and move in a way that works your muscles the way they're supposed to be worked. The way masseuses who are trained to deliver a manual massage do it. That's why you get up feeling ah-mazing. And this isn't just in your back. It's in your back, neck, and shoulders. That's why they call it full body. You won't finish the session feeling loose in the back and tight in the shoulders or neck. It's beautifully integrated, and you end up feeling the same. The same holds true for your feet. Thermal massage works wonders to hit the pressure points in your feet that transfer healing benefits to your entire body, even places like your stomach and head. Your feet don't just feel relaxed and soothed, though they do. Your whole body gets a benefit when you get this kind of intense foot massage. It can make you feel healthier, even relive ailments like stomach and headaches. Sometimes you get a massage, and you're not sure exactly what triggers the sense of wellbeing. My guess's often your feet or your head. And when it comes to your feet, this massage is a standout. It sold me. The third feature that delivers the best benefit is the stretching functionality. A lot of massage products are jumping on the stretching feature bandwagon these days. Engineering and technology work that way, and one of the leading trends right now is stretch or yoga stretch. But there's always a reason for these things, and if done well, it's because they serve a purpose. Stretching does achieve more than a just singular massage. It pulls your muscles and soft tissue in a way that massage alone can't, and that releases tension and provides extraordinary comfort, flexibility, and relaxation. We love the stretching function in the EP-MA73. It works the way it should and you will feel amazingly mobile from it. It combines Shiatsu with compression to provide the stretching and release tension in your muscles. It's like the yoga postures you always try to do but maybe can't quite achieve. You feel ultimate relaxation from it, and I'm telling you, you will sleep like a baby. Voice activated. This is the future we all thought we’d have. You can control settings with your voice. Thermal Heating. This more closely simulates heat that you get from a masseuse throughout the massage. Design. This is a comparatively smaller profile, though still large enough to require plenty of room for reclining. The wheels on the back make it easy to move around. It’s at the higher end of the price point in general, but reasonable given its class. It requires plenty of room from the wall to get to a full reclining position. A slightly less high tech and luxurious version of the awesome EP-MA73 is the EP-MA70. Still packed with features and delivering an excellent massage, this would be a good option if you have a slightly smaller budget. It's by no means an actual budget-priced chair, but it will set you back a little less. The main feature that provides the real noteworthy massage experience is the type of kneading employed, with is what they term the proprietary "ultraknead." This replicates the Junetsu technique, which is from Japan and has been used and proven effective for many years. It has the standard other features you would expect in a chair of this caliber, but the ultraknead will hit the trouble spots if you suffer from very tight muscles, have overworked stress spots, or enjoy a very deep tissue massage. It feels fantastic and will simulate the benefits of a manual massage for your difficult to reach areas. I'd be remiss if I didn't make the proper head-to-head comparison with the leading chair in this class, the Inada DreamWave. 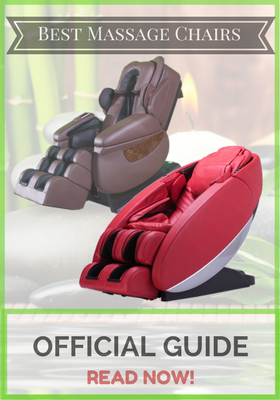 The Inada DreamWave has been one of the top-selling luxury massage chairs for a long time and deserved the praise it gets. Regarding most features like roller technology, the two are pretty closely ranked. Where the MA73 wins are its slightly smaller and sleeker size and the amazing thermal heating in the rollers. This is much more soothing and closely similar to a real massage than the traditional heating in the DreamWave. You get the heat build that soothes your muscle and tissue gradually as opposed to just getting slammed with heat. The Inada comes out on top in a couple of areas. For one, it is manufactured in Japan, which most chairs aren't. Very few are, actually, and it indicates the highest quality available. While the Panasonic is designed and engineered in Japan, it is manufactured in China. The airbag technology in the Inada is also a bit more advanced. While the MA73 has 33 airbags, the DreamWave has over 100 in total and uses them for rotating action in the torso and pelvis, massage in the upper body, and moving the chair to produce stretch. These are outstanding uses of air cells and are amazingly effective for stretching and trigger point massage. I love the stretching functionality because it truly releases the waist and hip area, so if you're tight in the pelvis, which most of us are, this gives the DreamWave a leg up. To conclude, the Panasonic EP-MA73 is a solid bet. The thermal rollers, stylish design, and airbag compression massage make a fantastic investment in your health, wellbeing, and quest for ultimate relaxation. Panasonic sells through a dealer and is available on Amazon. The Mayo Clinic recommends massage for leading a healthier life and reducing stress, and there are few better ways to get one regularly than a home massage chair.